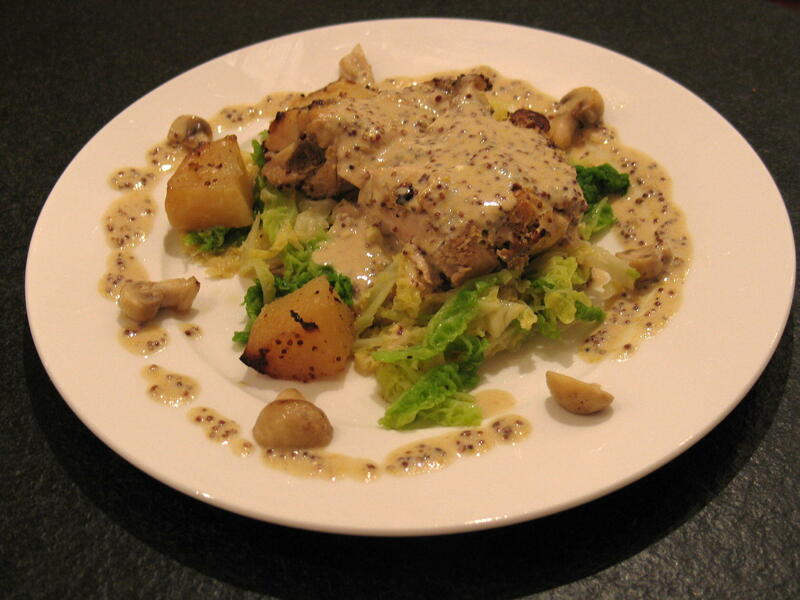 Baked rabbit is a classic French dish with Dijon mustard and cream. However, if you really don’t want to cook rabbit, then substitute chicken thighs. 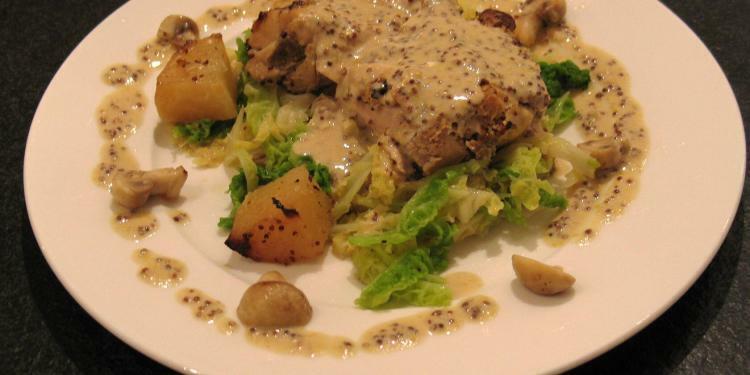 Tender rabbit baked to perfection in a creamy and tangy mustard sauce. Melt half the butter with the oil in a large frying pan over a medium heat. Season the rabbit portions with salt and black pepper and gentle sauté them until golden brown on all sides. Transfer the rabbit to a large flame-proof casserole dish. Wipe the frying pan clean with kitchen paper and add the remaining butter, return to a medium heat and gently sauté the sliced shallots until softened (about 5 minutes). Add the flour to the softened shallots and, stirring continuously, cook for 1 minute. Remove the pan from the heat and stir in the wine and half the stock. Return the pan to the heat and cook gently, stirring all the time until the sauce thickens. Add the mustard, season with salt and black pepper and simmer gently for 2 minutes. Remove from the heat and pour over the rabbit (in the casserole dish). Add the remaining stock to the casserole and gently bring to the boil on the hob. Add the thyme and bay leaf and place a piece of baking parchment on the surface of the casserole, then cover with its lid. Transfer the dish to the pre-heated oven for 1.5 hours, or until tender – the meat will begin to fall off the bone when cooked. Remove the casserole from the oven and place on the hob. Using a slotted spoon, gently remove the rabbit pieces and set aside. Stir in the cream and gently simmer for 5 minutes, removing the sprigs of thyme and bay leaf. Replace the rabbit pieces and adjust the seasoning to taste. 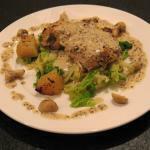 I serve this rabbit dish on a bed of crunchy savoy cabbage with fondant potatoes. However mashed, roast or baked potatoes work equally well and you could serve with any green vegetable.